Cycles, patterns and rhythms, the world is full of them. Not the steady beats prevalent in most music, but subtle interlocking rhythms that dance and move through each other. The flow between the monthly phases of the moon and the daily tides. Stellar precession and the turning of galaxies. The pulsations of our blodd, neurons and breathing. 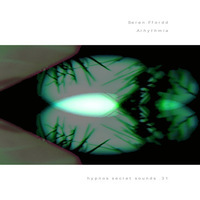 In five parts, Arhythmia is an exploration of such shifting patterns that can be heard and felt but not danced to. Rhythms and movements of sound that draw the mind and spirit into other places of dreaming. Arhythmia is a mixture of light and dark textures that contain both flowing and hypnotic elements.